Be part of a dedicated community in Europe, striving to realise the drug discovery & gene therapy applications of optimised CRISPR systems. With on-going investments in precision CRISPR-Cas and the open accessibility of this technology, it is critical to know how to translate the ability to make precise genetic edits in living cells and deliver CRISPR-based ex vivo & in vivo therapies to the patient. 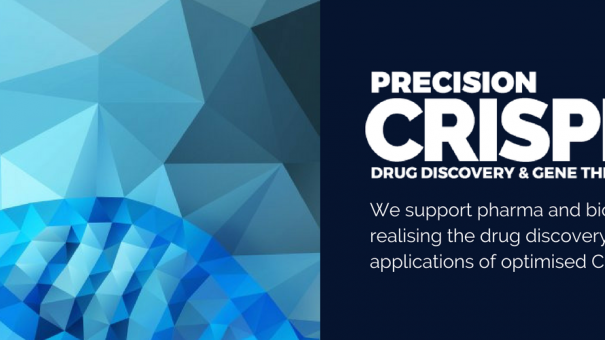 Precision CRISPR Congress, 22-24 October 2018 | London, UK is a meeting dedicated to supporting pharma and biotech community in realising the drug discovery and gene therapy applications of optimised CRISPR systems. Joining this community will enable you to hear and share the latest CRISPR advances and help accelerate research that will develop solutions to get CRISPR gene therapy into the clinic faster. Find out how to join here. Precision CRISPR will not only bring together a community of CRISPR genome editing enthusiast, but also a great list of expert speakers, who will present their latest findings and case studies, and answer your questions about the future of CRISPR during our networking sessions. Meet Novartis’ Danilo Madallo and learn about Future perspectives and applications of In Vivo CRISPR Models in the Drug Discovery Process. With Cornlab recent move to Switzerland, meet its Principal Investigator Jacob Corn and learn about Gene Repair in Human Hematopoietic Stem Cells. Sounds interesting? Don’t forget to get your copy of the Event Program and see full speaker list, their agenda sessions and two interactive workshops that will be taking place in London this October. We look forward to welcoming you in London this October.